This tart is great served still warm from the oven, but will easily keep for a day at room temperature. 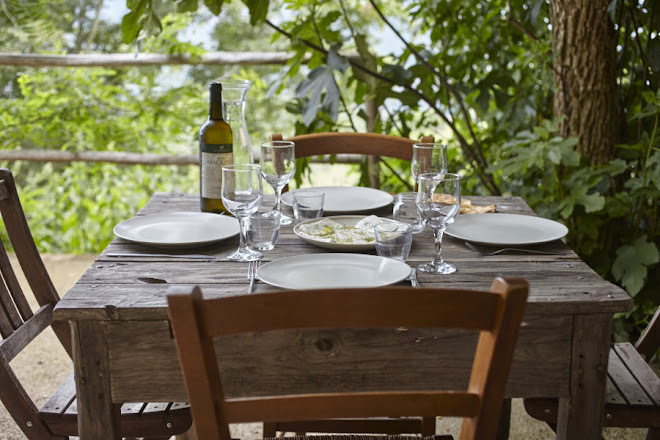 Put flour, cold butter and salt into a bowl, kneading and rubbing with your fingers until well mixed. Beat the egg lightly and add to the bowl, kneading into the dough until it comes together and all ingredients are well incorporated. The dough will be very soft and a little sticky. 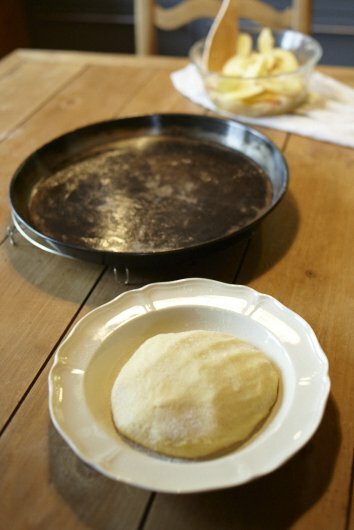 Gather the dough into a ball and sprinkle with some flour, place in a deep dish and wrap to let rest in the fridge (1-2 hours or overnight). Once back out of the fridge, try to handle the dough quickly. 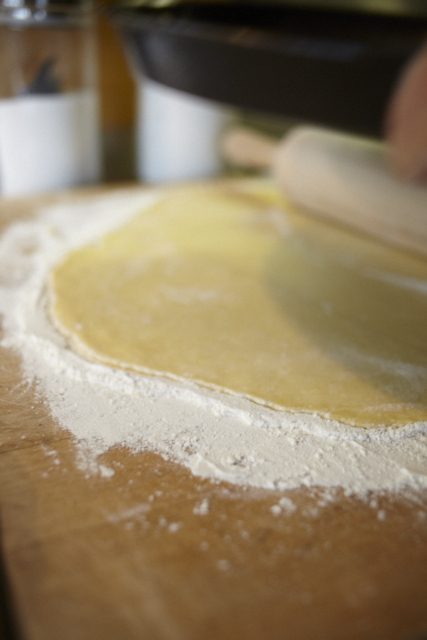 On a floured surface, roll out into a rough round and transfer to the tart pan (or baking sheet). 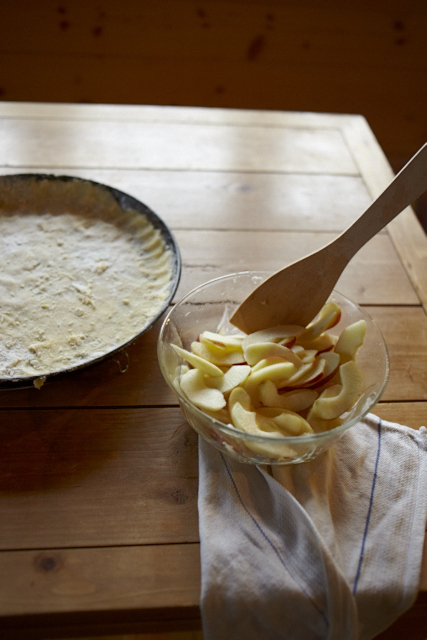 Cover the tart pan and let dough again rest in the fridge, this time for 20-30 minutes. In the meantime, peel (or don't peel) the apples, quarter each apple, core, slice each quarter into very thin slices and gather in a deep bowl, saving the cores for later. 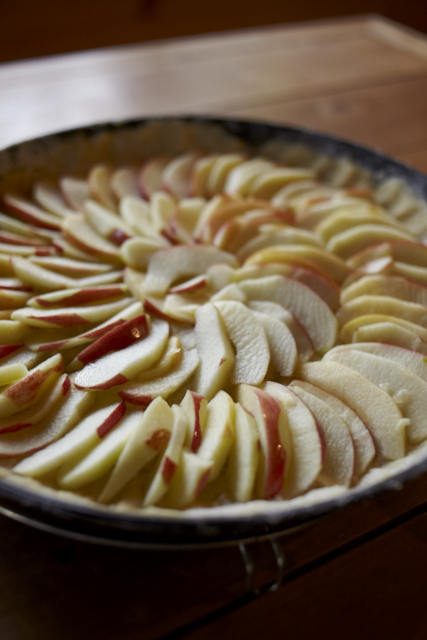 Tip: sprinkling each layer with some lemon zest will keep apples slices from turning brown quickly. 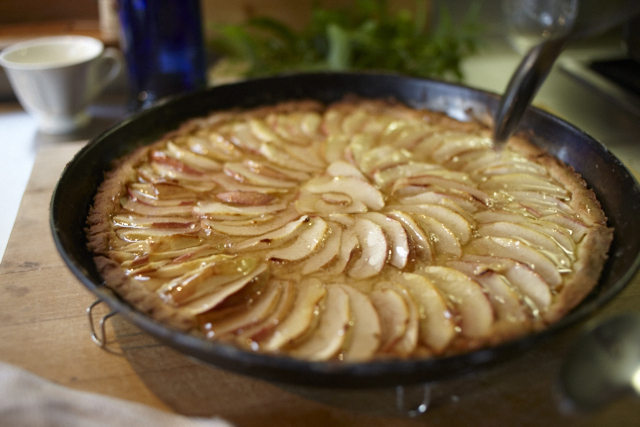 Preheat the oven to 375˚F (190˚C) and bake the tart until the crust is crisped and golden, about 40-45 minutes. Let the tart pan cool on a rack. In the meantime, make a quick glaze: add water to a sauce pan and bring to a simmer. Add in the sugar, stir to disolve and add the apple cores. Let the glaze simmer until it is a thickened syrop. 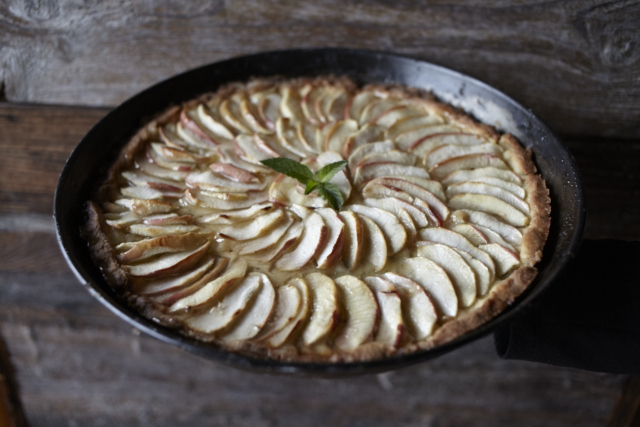 While it is still warm and runny, add the glaze to the tart, spreading an even, glossy layer over the apples to the edges of the crust.